In all the time I’ve been writing this blog, I’ve neglected to mention a supplier to SQM, and one of my favourite companies to deal with. For many years, long-serving employees at SQM achieve a special acknowledgement when they hit milestone anniversaries, such as the five and ten year mark. To celebrate these occasion, the employees not only receive a special gift, but we’ve also awarded them a plaque for being with us for five years, and an engraved crystal for ten years of service. 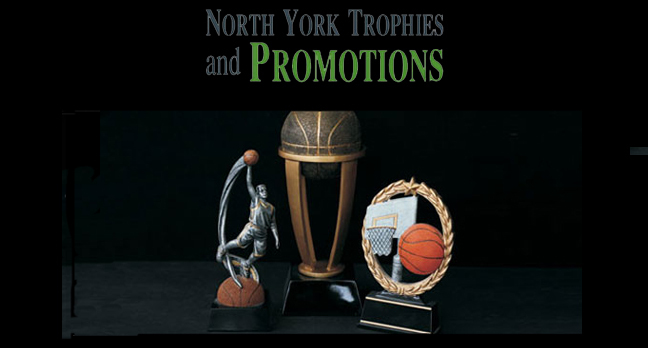 SQM has been in business for 24 years and since the beginning, I’ve looked no further than North York Trophies for all of my awards needs. In fact, my relationship with them precedes SQM, when I was involved in several sports leagues where athletes would periodically receive awards. I still remember one of my first visits, when the employee took down the information, asked me about the player, and called me when it was ready. At the time, I had someone else go and pick it up for me, but then a few days later, it dawned on me that I never actually paid for it. When I called the store, the employee told me he had no way of contacting me, but was confident that I’d call back to settle up. Putting aside the quality of their merchandise, the trust factor that they extended was the beginning of a great relationship! I’ve always enjoyed working with companies who put the customer’s needs first, instead of focusing on getting a deposit or being paid up front. Since that first visit, they’ve always been more concerned with meeting my needs and dealing with the payment after. Though a few people have changed over the years, thankfully, most things at the business have remained the same. I’m not sure the name does them justice, as they have a lot of variety when it comes to products, their prices are competitive, and the workmanship is of a high quality. And the winner for outstanding trophies and awards goes to………..North York Trophies!